I’ve been wanting to make a Lava Flow Cocktail since we got here, but I really wanted to wait until my hubby arrived so he could enjoy it too. I am so glad I did because it was so good! 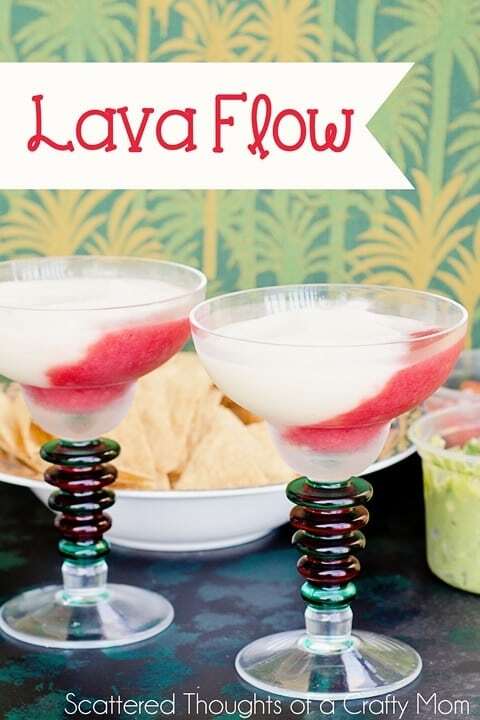 Have you ever had a Lava Flow? 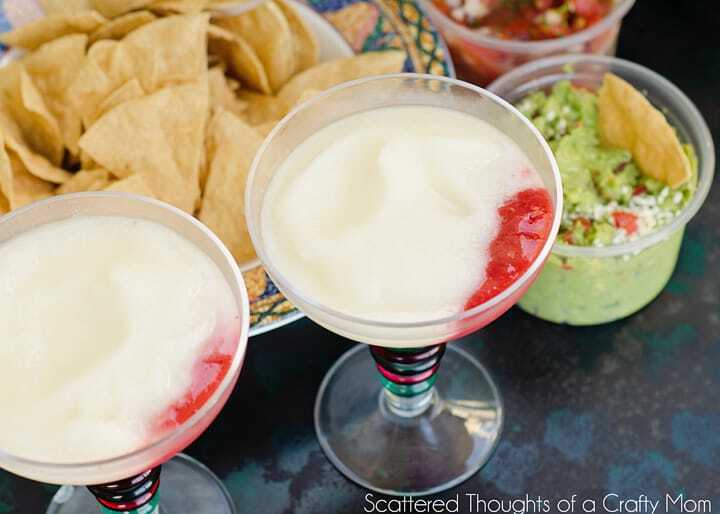 It is almost like a Pina Colada and Strawberry Daiquiri mixed together in the same glass… So yeah, it’s really good! Blend the 2 rums and the strawberries in a blender. Put this mixture aside (in freezer). Clean the blender and blend banana, the coconut cream, and the pineapple juice in blender with crushed ice until smooth.